Our packaged services are bundled uniquiely by client need and industry. Depending on your specific requirements, Saint Gorilla believes this compliation of media and messages make the best impact on brand awareness and comprehension. Find the package that works best for you or your organization. 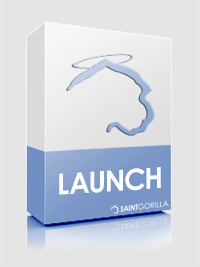 A Saint Gorilla Launch is for the client that is ready to launch a product, service, initiative, or brand. This launch is usually targeted to a niche audience that benefits from the launch product. The deliverables for this package are ImpactVideos, MiniDocs, ViralNarratives, and LaunchEvents. Saint Gorilla will also ensure that the proper web infrastructure (LaunchPad) is in place. 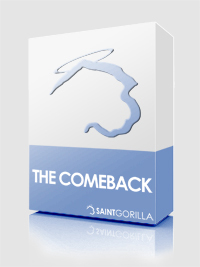 The Saint Gorilla Comeback is for the client with existing products, initiatives, or brands that need a makeover. This is a ten to twenty percent change where the creative is not as extensive, but research, market measure, and analysis is the focus. From this analysis, Saint Gorilla will create a re-imagined campaign and offer the niched target audience a fresh new outlook, revitalizing the brand’s identity. The deliverables for this package are ImpactVideos, MiniDocs, ViralNarratives, and LaunchEvents. Saint Gorilla will also ensure that the proper web infrastructure (LaunchPad) is in place. The Saint Gorilla Pitch is for the client that needs to pitch an idea, initiative, or brand. This can be a pitch to an investor, a contractor, the government, or to a test audience. The deliverables for this package include a VideoProposal that provides brand identification of the ‘pitcher’, an in-depth visualization of the pitch, it’s supporting data, and the offer. Saint Gorilla will also ensure that the proper web infrastructure (LaunchPad) is in place. This could include a website, social network cultivation, or a combination of multiple web technologies.